When you are dissatisfied with a company’s product or service, the first thing you do is to speak with the manager. More often than not, resolution is usually reached after a one-on-one with the company’s management. However, if you find that you are still not at ease thereafter, then the next action that you should take is to write a letter of complaint. 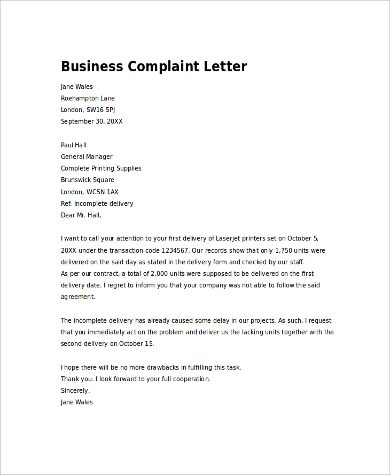 A letter of complaint is a formal letter addressed to a company or business regarding issues you may have encountered. This could be with regards to their products or their customer service. It solidifies the complaints that you may have and puts everything into proper documentation. See these Sample Letters for reference. 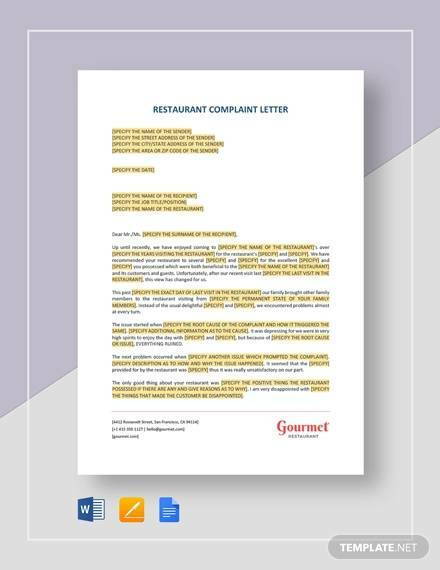 As you may have gathered from these 9+ complaint letter examples, each one expresses grievances and concerns of customers or clients. 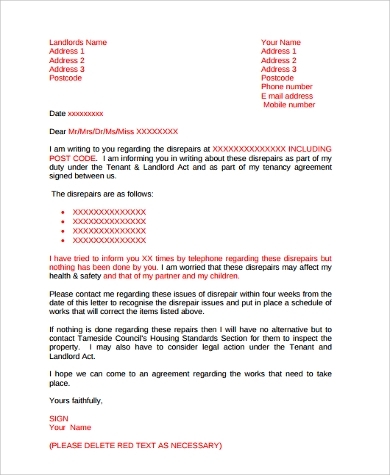 A letter of complaint, however, should not be emotive or overdramatic. Yes, you may feel that you have been wronged, and that corrective action by the involved company should be granted to you, but remember that a complaint letter becomes formal record. 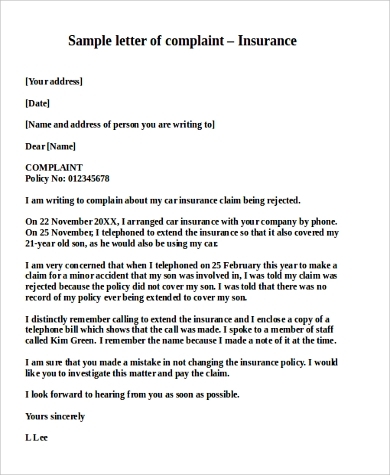 As such, a complaint letter should have the following features. 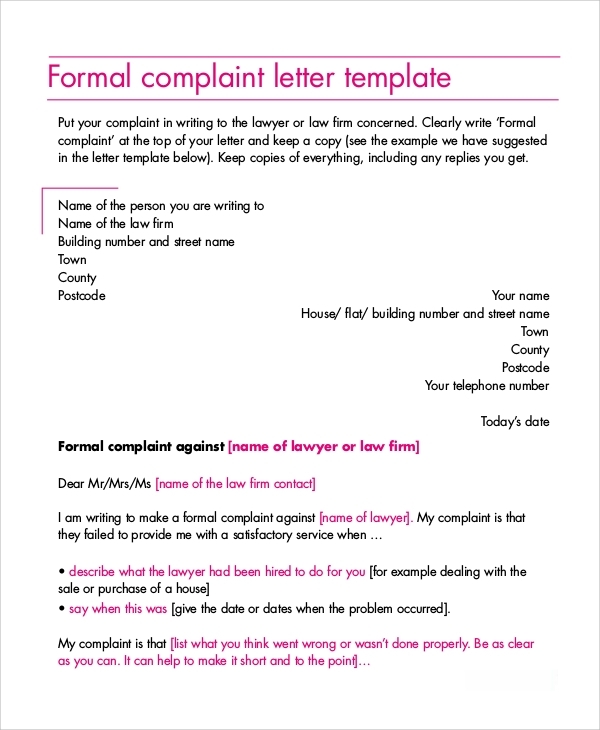 Use these templates to guide you with the proper formatting of your letter. Fact-based. Be very detailed as to the circumstances surrounding the problem that you wish to bring to the company’s attention. Be particular with such details as dates, time, and location. 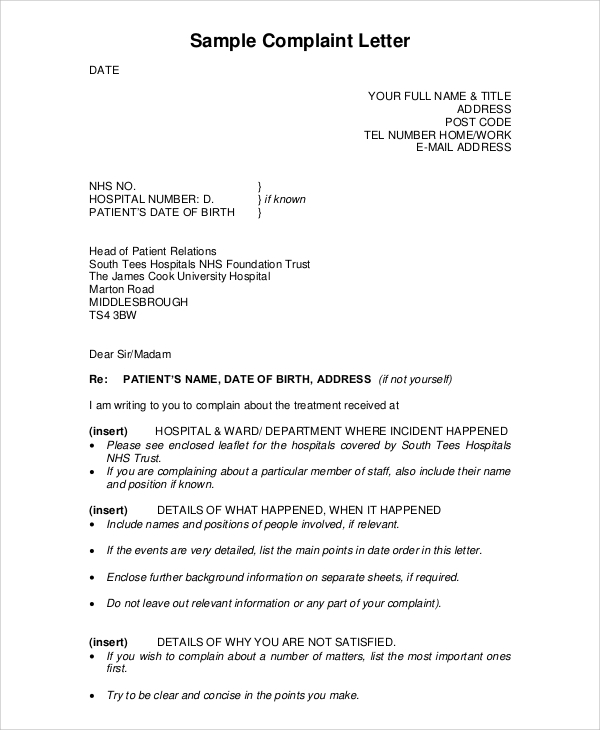 If possible, attach copies of receipts and other pertinent files. 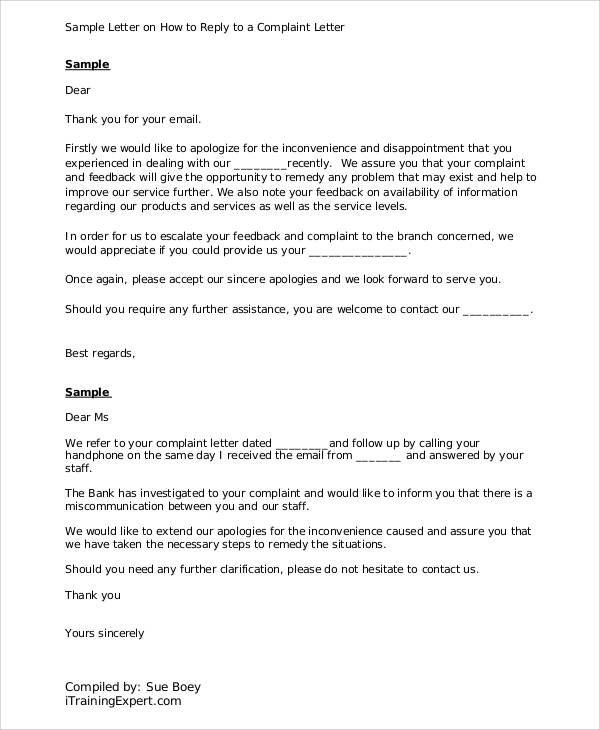 These should provide sufficient evidence, or should justify your rights as a customer to make a complaint.Also, indicate how you want the company to settle your complaint, along with the date that you want to see it done. Be reasonable, and be guided by what is only legal and doable. Businesslike and concise. In that manner, do not take your letter as something that you wend send to a magazine for matters of your heart, wanting to get advice and answers. While it is indeed on a problem that you have had to face, and you are similarly seeking solutions, it should maintain a professional voice. Do not threaten, nor over-dramatize. Why? Your letter is to be taken into the course of business. That is, companies will go over it and deliberate on what steps they should take, and it could even be used should legal action become necessary. 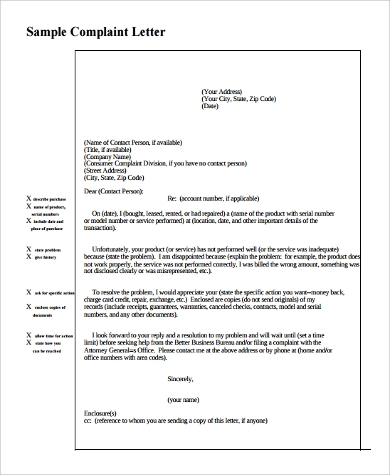 Vice versa, types of letters that are sent by companies to individuals include these Sample Job Rejection Letters; these letters verbalize how and why job seekers’ applications have been ruled unsuccessful by the companies. As with job rejection letters, these Sample Income Verification Letters are often also sent by companies. These are most often asked by bankers and lenders wanting to inquire on the incomes of individuals, to be able to assess their loaning capacities and the like.